The comb jellies Bolinopsis and Mnemiopsis | Marine Life Society of South Australia Inc. I took this ‘one off’ shot of a clear jelly during my dive at Moonta Bay jetty in June 2017. While the photograph is enigmatic, my observations were sufficient for me to pursue a positive identification of the species. It turned out to be a comb jelly, and my interest in the animal was piqued and extended with help from the author of the books Stung! and Jellyfish: A Natural History, Dr Lisa-Ann Gershwin. The people I was staying and diving with at Moonta Bay didn’t spot any Bolinopsis in the water, but fellow Marine Life Society member Dan Monceaux, who coincidentally had been snorkeling near Point Lowly for several days during the previous week, told me he had made some sightings. He said that he seen multiple individuals on every snorkeling dip, which included both day and night swims. He observed that the animals were sparsely distributed (no group sightings were made) appeared to be swimming within 1 metre of the sea surface, and were refracting and reflecting colourful flashes of light with their cilia plates, which they also use for locomotion. Dan was able to capture a few sharp images of one of the individuals he encountered near Stony Point, in upper Spencer Gulf, though his priority subject was the aggregation of giant Australian cuttlefish which occurs there every winter. It also stated that “three species have been named in the genus Mnemiopsis, but they are now believed to be different ecological forms of a single species M. leidyi by most zoologists”. Mnemiopsis leidyi is referred to as the warty comb jelly or sea walnut (because it moves so slowly) and it is also described as an invasive species. “Mnemiopsis ledyi is a major zooplankton predator and is associated with fishery crashes (Costello, 2001). A carnivorous predator on edible zooplankton (including meroplankton), pelagic fish eggs and larvae, M. leidyi causes negative impacts right through the foodchain of the areas it has invaded. In the Black Sea and the Sea of Azov, the zooplankton, ichthyoplankton and zooplanktivorous fish stocks all underwent profound changes. The pelagic ecosystem of the Black Sea was degraded, manifesting as sharply decreased biodiversity, abundance, and biomass of the main components of the pelagic ecosystem-zooplankton (Dumont and Shiganova). Fish stocks in the Black Sea and Sea of Azov have suffered due to predation on eggs and larval stages of food supplies (Shiganova 2003). Effects on the ecosystem in the Caspian Sea were faster and stronger than in the Black Sea. In 2001, repercussions were felt at all trophic levels, including that of the top predator, the Caspian seal (Dumont and Shiganova). The Atlas of Living Australia gave some further insights into the animal’s occurrence from an Australian perspective, with records of sightings or collected specimens logged off the coasts of Queensland, New South Wales and Western Australia. Dan Monceaux advised me that marine invertebrate records in the Atlas are often data deficient. 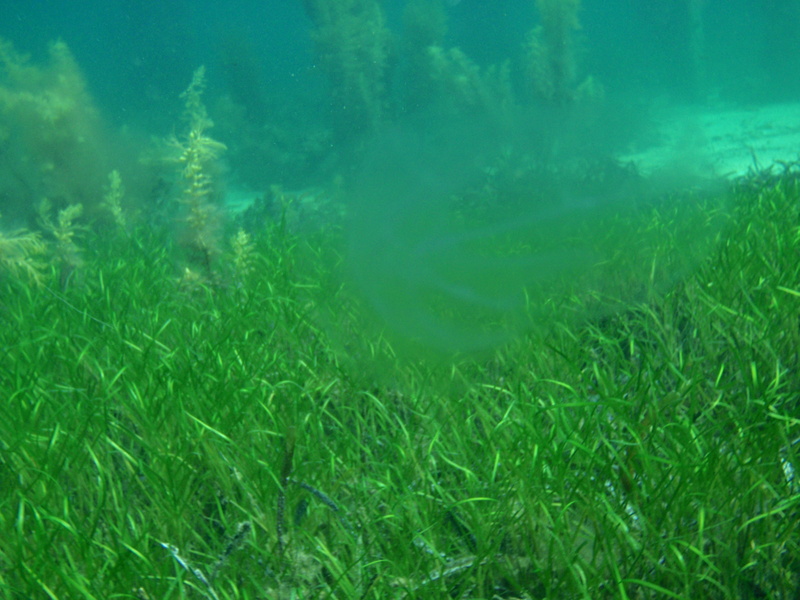 For example, Lisa-ann’s historic observations of Bolinopsis in Spencer Gulf are yet to be reflected in the database. At the time of posting this article, the Atlas had no records of Bolinopsis in South Australian waters at all. Since writing and extending this article, Dan and I have each submitted records of our Bolinopsis sightings to the Atlas of Living Australia and would encourage anyone else who encounters these voracious and hypnotising comb jellies in Australian waters to do the same. Many thanks to co-author Dan Monceaux and to Dr Lisa-ann Gershwin for their assistance with this article. Steve Reynolds is the current President of MLSSA and is a long-standing member of the Society. Steve is a keen diver, underwater explorer, photographer and is chief author of the Society's extensive back catalogue of newsletters and journals. I’ve seen these Comb Jellies in a huge pack while diving of the coast of S.A. unfortunately I cant remember exactly what point it was (maybe near rapid bay area) as we got in the water to swim with some dolphins that were in the area that were probably snacking on the Comb Jellies aha.